In my first impressions video you will have seen that I was very impressed with some new liquid lipsticks Essence came out with. 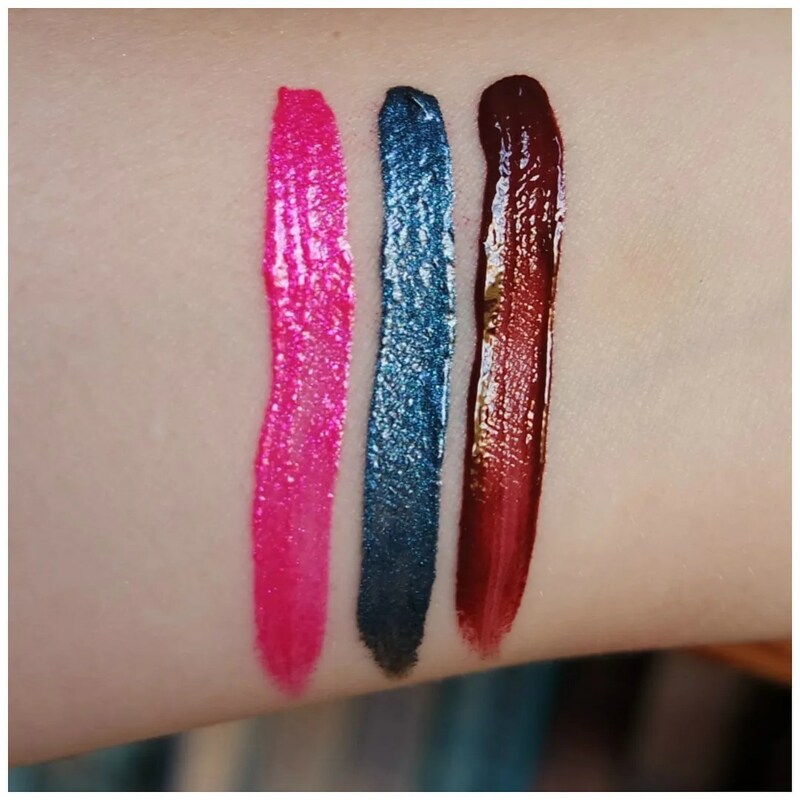 Meet the new Metal Shock and Vibrant Shock lip paints. These lip creams should be right on trend and offer velvet matte result. Let’s see how all shades work out. These lip creams retail for €3.39 each. That is quite up there for an Essence lip products. For comparison: most of their regular lipsticks retail for €2.99. A good thing to know is that Essence lists these products under the lipgloss category on their website. 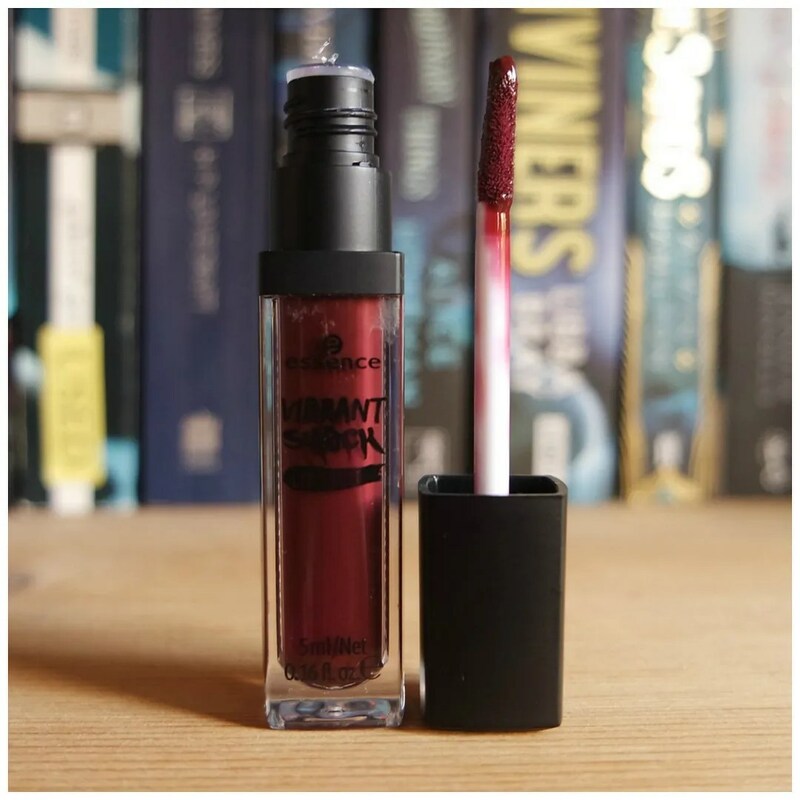 Bearing that in mind, you can expect these to be more like an intensely pigmented lipgloss rather than a true liquid lipstick. 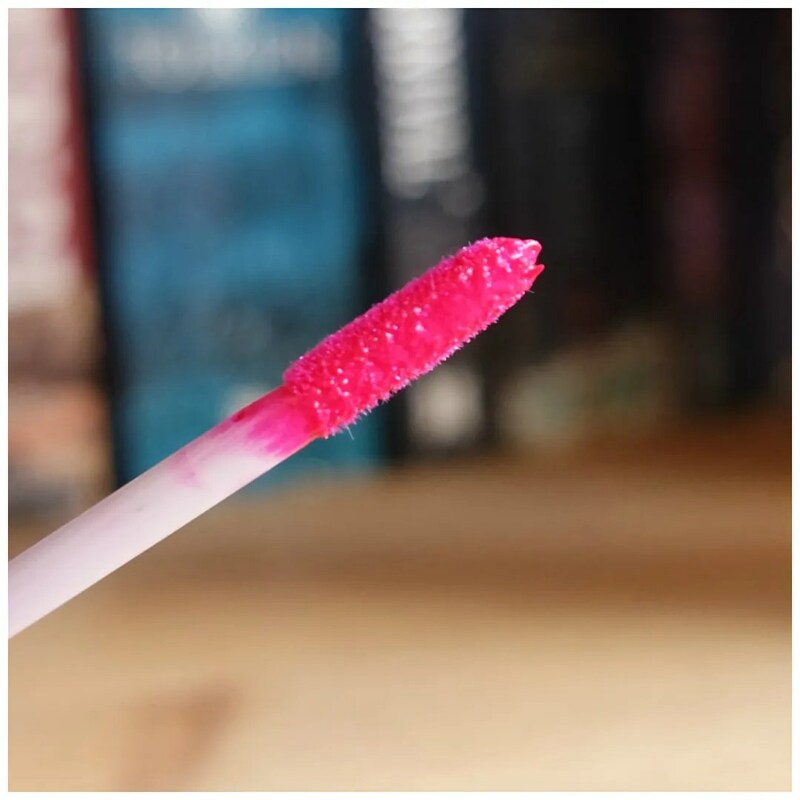 The lip paints come with a doe foot applicator that is very skinny. I love how precise this is as this makes these bold colors go on quite well. There is just the right amount of product on the applicator for one application. There is hardly any need for a double dip. The tube itself shows the color of the lip cream quite well. The Metal Shock lipsticks have all been named after plants and flowers. Lilly of the Valley is a bright fuchsia with lots of micro glitter in it. 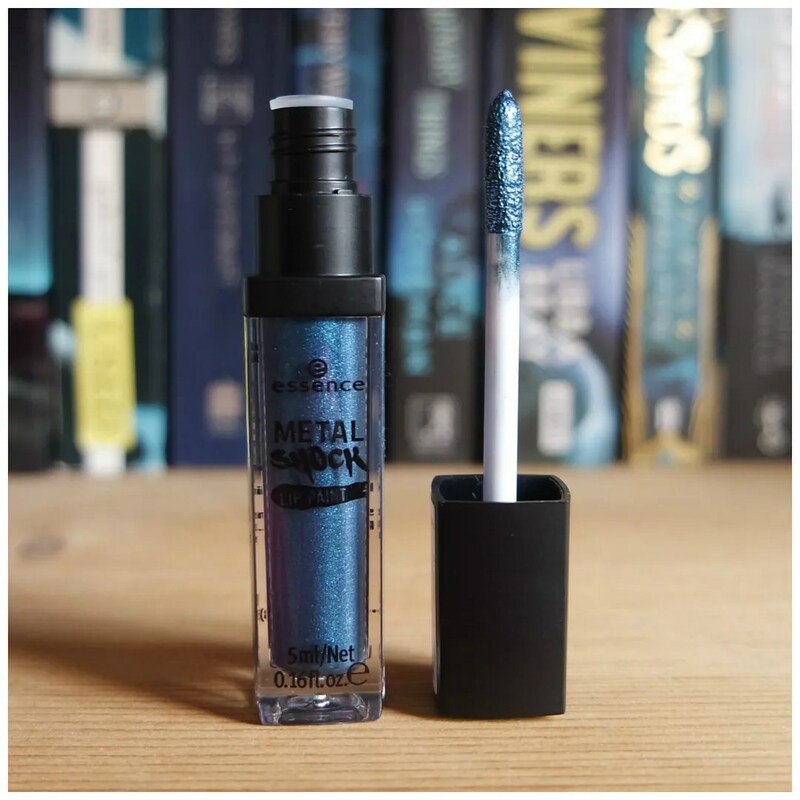 Mind you: this glitter can be felt on the lips when you wear this product. Apart from Lilly of the Valley there is only one shade in the range that looks to be quite wearable and that is a purple. This is also the only one of the three that says it will stain your lips on the packaging. I already showed Bella Donna in my first impressions video, but of course it has to be part of this review as well. This is an intense greyish blue that naturally makes my teeth look yellow. 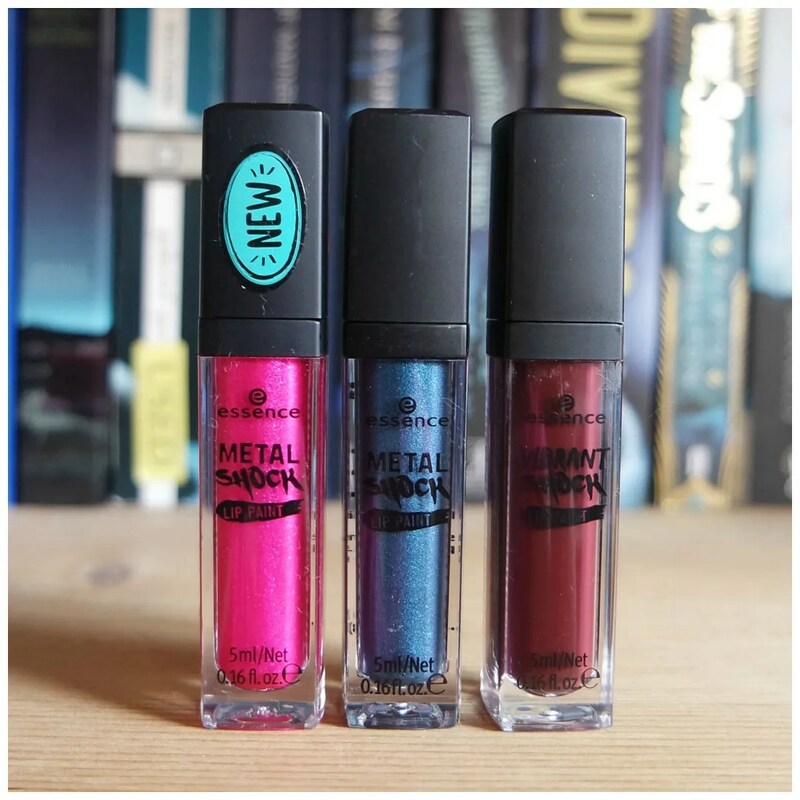 The Metal Shock range has some other unusual lip colors such as a green, a gold and a chrome colored one. Also available in 6 shades, the Vibrant Shock range boasts the same properties as the Metal Shock range, but minus the sparkle. The range also features some unusual shades, but it also has some more wearable shades, but still it looks quite bold. 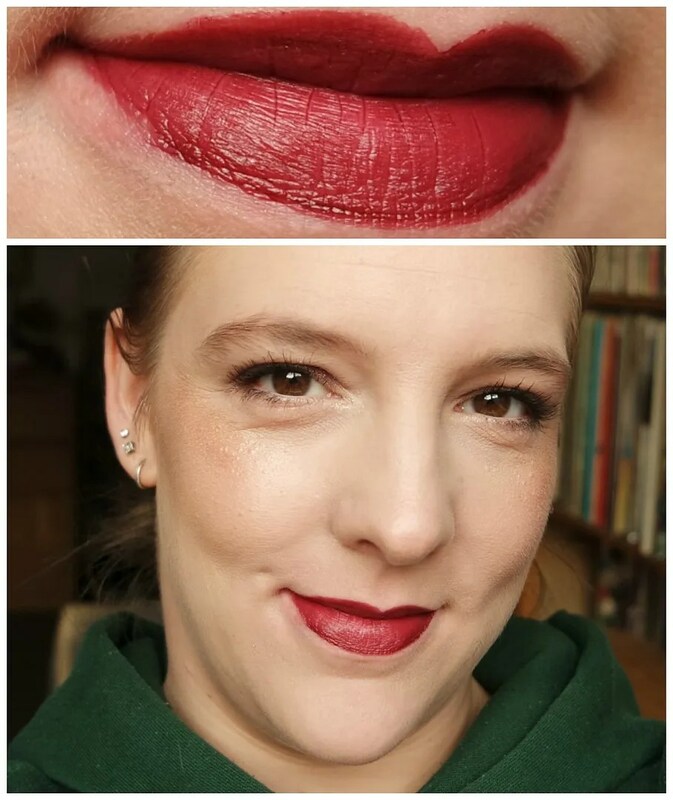 Red Viper is a deep dark red, which I thought could be perfect for the fall. Essence promises these to have a velvet matte finish and let’s be honest: these do not have that. This is not a liquid lipstick either as there is no dry down. 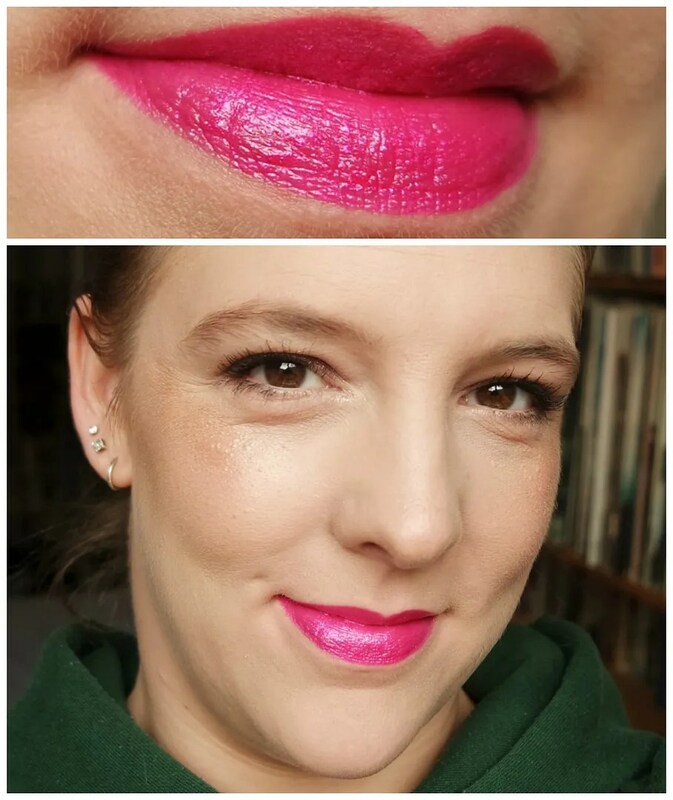 These stay creamy on the lips and remain very shiny. The colors are bold, but also quite patchy. You need to build them up to get an even coverage, but when you do two out of three go on nicely. As you can see, Red Viper looks to be quite patchy and I had a lot of trouble getting this onto my lips nicely. Wear time on these is around 2 hours: after a few sips of water these will disappear. I do find that they do not leave a bunch of glitter behind: these wear off quite evenly. Lilly of the Valley is quite easily the most flattering shade on me. It was also easiest to apply. The applicator works very precisely and I like the metallic sheen this has. It does not look velvet matte to me though and it stays quite glossy. The texture feels very much like a gloss and that is one that I am not a huge fan of. However, I think the color is stunning and I will definitely get some more wear out of this. Belladonna is a little bit patchy but it can be built up and evened out with a little bit of patience. This does seem to separate a little bit when you talk, especially in the corners of my mouth. I think however, that for such a bold unusual color, this still works very well. 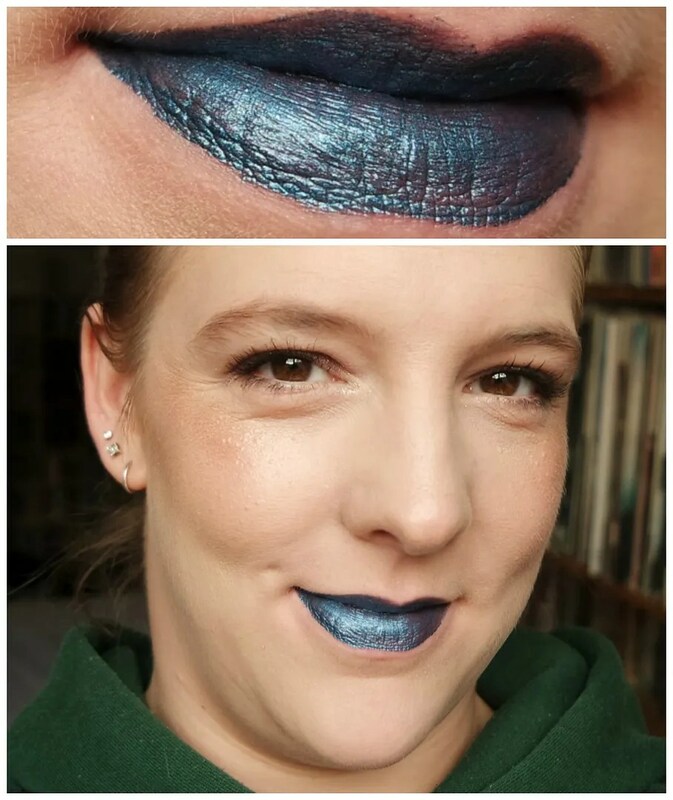 And I don’t know about you, but I would not wear a shade like this unless I’m at a fancy dress party anyway, so I don’t really mind that this doesn’t stay on all day. Red Viper is perhaps the biggest disappointed. This is not the intense dark red I had hoped it would be and it was a nightmare to apply. The formula is so thin that this easily went on outside of my lips during application. So I took it all off and reapplied for the picture. As you can see, there is a darker line on my bottom lip where the product has a tendency to bunch up and gather. This one was messy to apply and it moved around quite a bit as well. I was glad to take this off, because it stayed on looking okay for about 2 minutes. For a budget brand like Essence to bring out such daring lip colors that actually don’t look too shabby I think this is a job well done. I would have liked these even more if they’d dried down to a matte liquid lip finish like the Milani Mattalics liquid lipsticks. 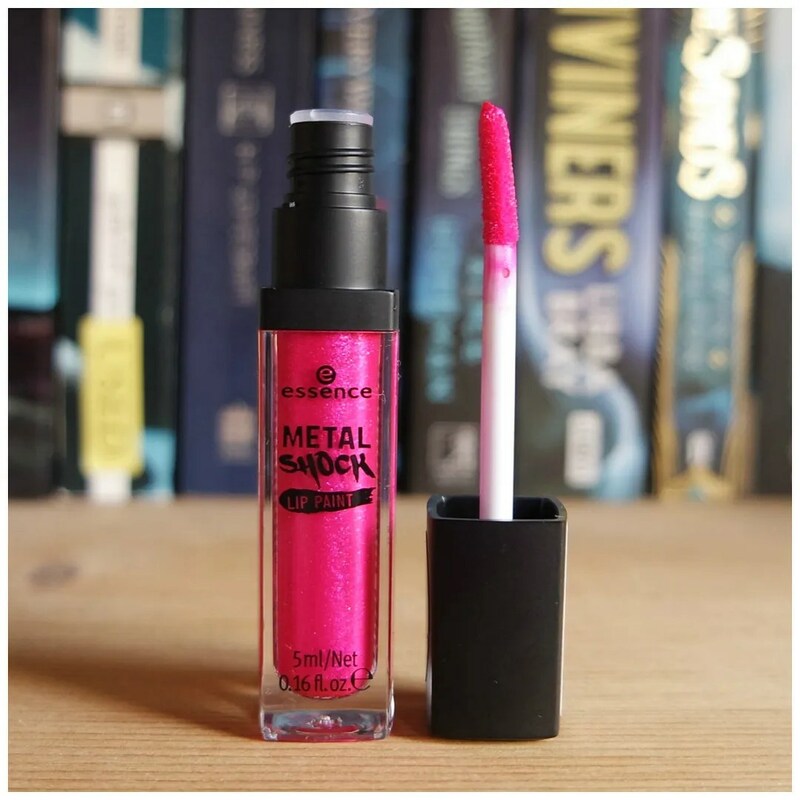 Nonetheless, Lilly of the Valley is a stunning shade if you’re into your bright pinks and the Metal Shock range is a great one to look into if you have any Halloween parties coming up. I would steer clear of the Vibrant Shock range though, but I only tried one shade, so I don’t know what the others might be like. What crazy lip color would you like to try? They are definitely something else! I bought the Red Viper before reading your post. My mistake. You’re totally right. It doesn’t go matte, and it’s very difficult to apply. I love the color but…too messy!. It most certainly is! Sorry it didn’t work for you.